Hey everyone! It's Candace from Candi O. Designs and it's my day over at Jaded Blossom and I am sharing a project I made using lots of awesome products from Jaded Blossom!! Bath & Body Works have these new fantastic wine bottle shaped soaps that I knew I had to have to create a project with!! The wine tag die fits perfectly for these bottles ~ makes a very fun gift! 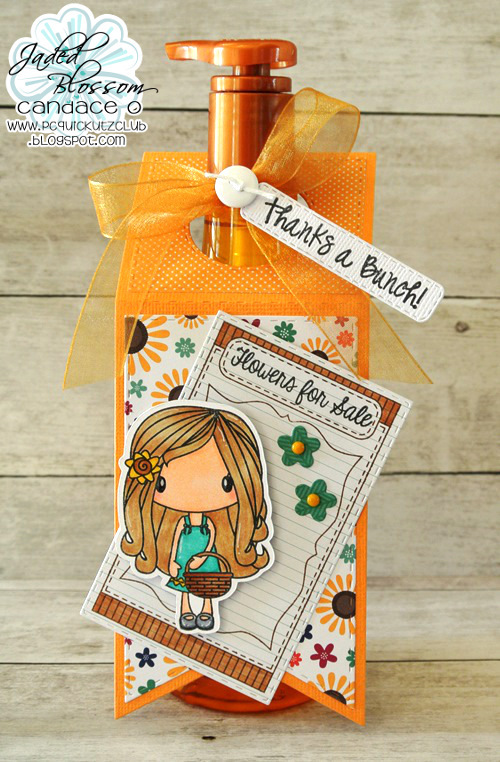 Since the soap is Sunflower Blossom, I decorated the tag die with fun, flower themed products! 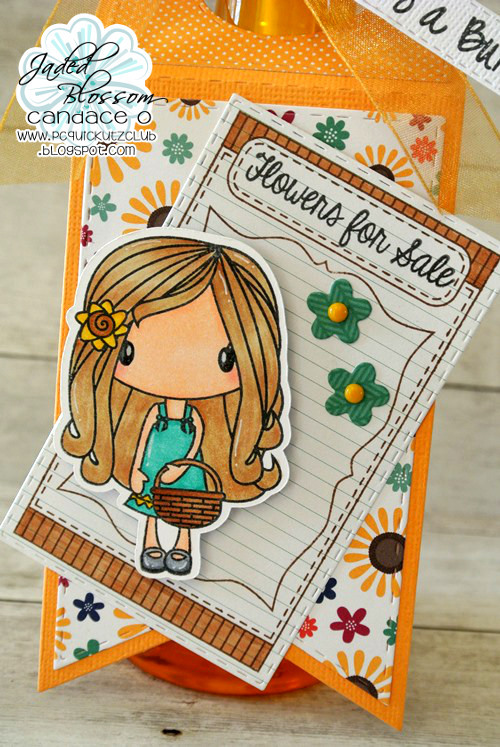 I hope I've inspired you with some of Jaded Blossoms goodies!!! Have a great day! Candace, this is adorable! 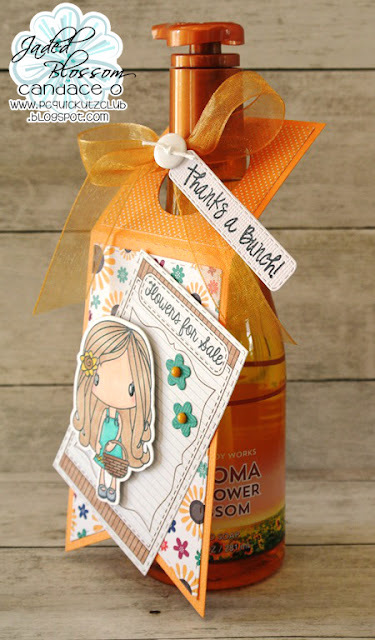 I love the darling little girl and what a fun way to dress up a bottle of soap! This is so pretty! It would make a lovely gift!